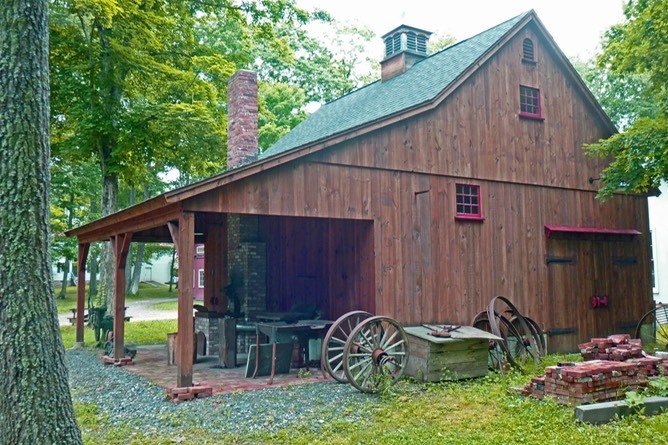 With the completion of CAMA's George C. Lay Blacksmith exhibit building, we now have a fully functional blacksmith shop with a full large collection of both antique and vintage "tools of the trade". 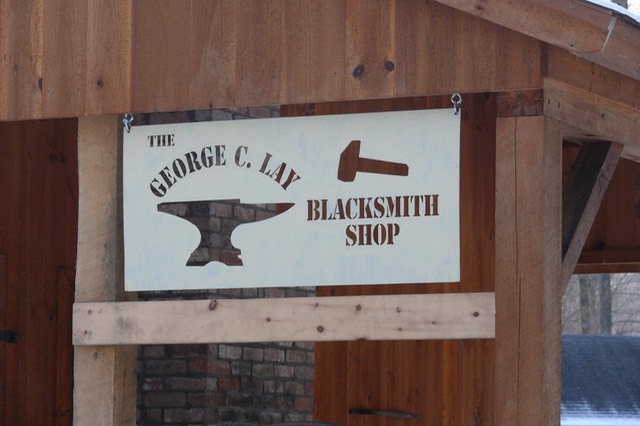 The shop was dedicated in September of 2008 by the late George C. Lay. 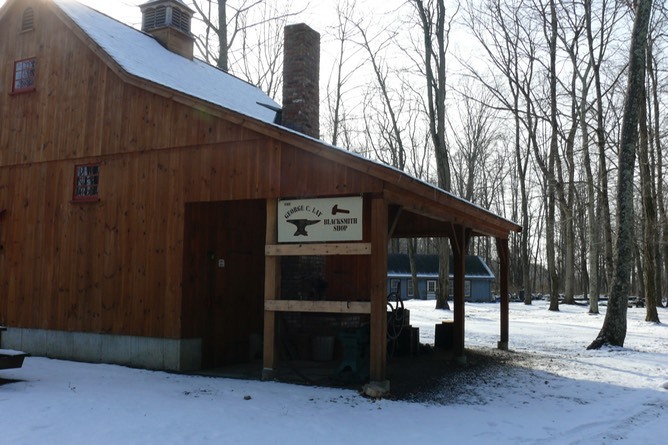 George donated much of his tool collection to CAMA, and this is on display in the shop. 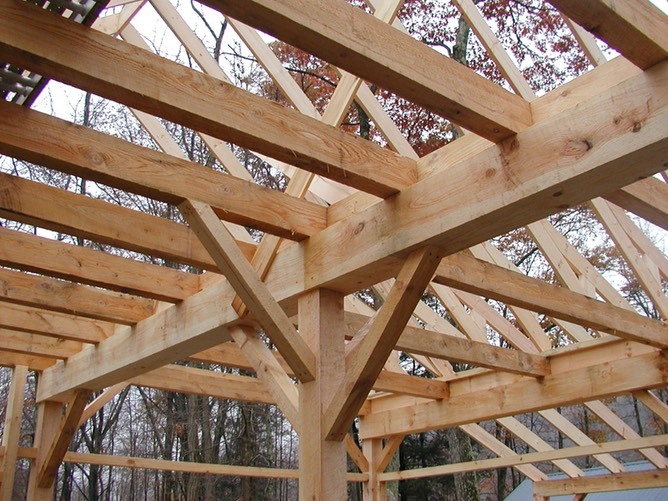 George also donated monetarily to the construction costs for this important new living exhibit. 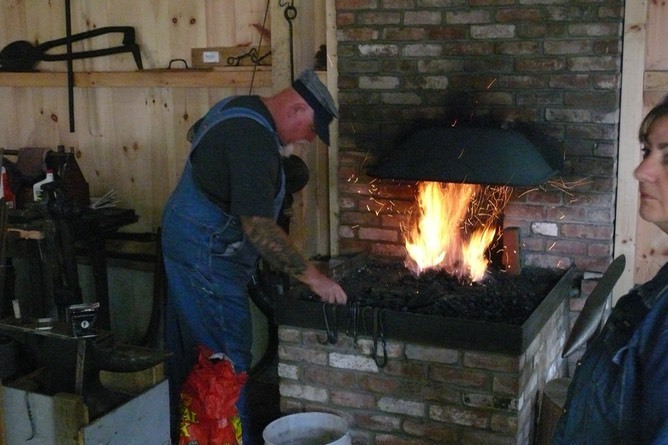 Skip Kern, our lead Blacksmith, or one of a number of guest blacksmiths give smithy demonstrations on many Saturdays during our open season. 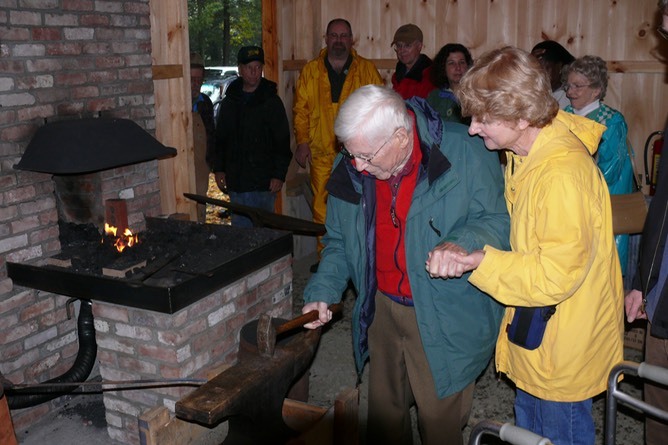 George Lay at the dedication ceremony of the CAMA blacksmith shop named in his honor. He was striking a ceremonial first hammer-to-anvil in the new shop. 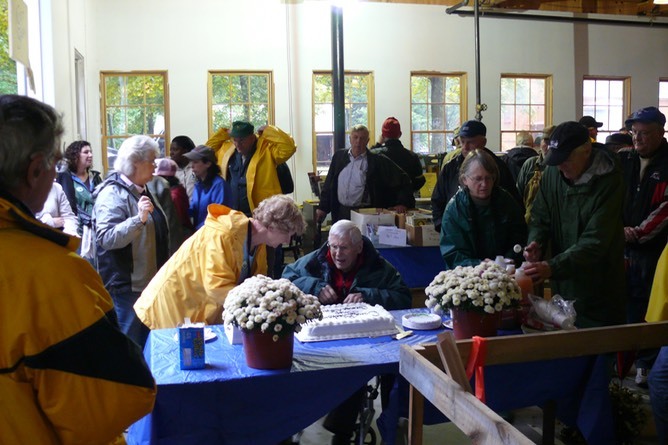 A large crowd shared cake and refreshments as part of the blacksmith shop dedication ceremony. 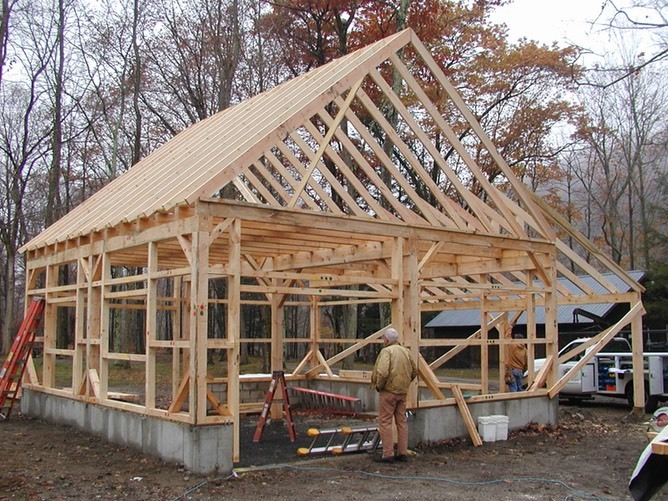 Some early construction photos - Blacksmith shop. Skip Kern fanning the flame.